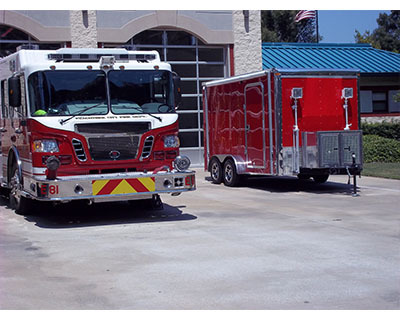 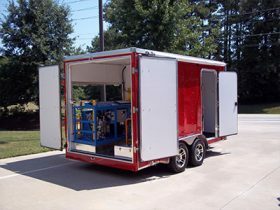 This was an install of a Custom Built Air Trailer with a Mako HBA06H Compressor with 14 cfm at 6000 psig. 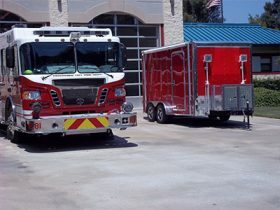 It has a 2 bottle containment fill station with 6 DOT storage bottles, generator, two 500 watt scene lights and work desk. 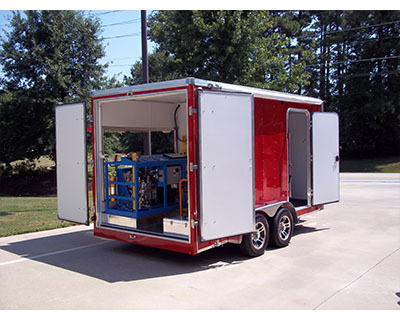 This is an electric unit that can run off of shore power or onboard generator.